The smallest breed in the equine world is the MINIATURE HORSE. Scott Creek Miniature Horse Farm is a leading breeder of Arabian style miniature horses maturing under 34 inches. With thirty+ years experience breeding miniature horses, our farm has selectively bred the finest AMHA registered horses available. Our horses are double registered in the AMHR registry which also recognizes horses over 34 to 38 inches. Our horses exhibit the ultimate in elegance, refinement, horse proportion, and exquisite movement. Scott Creek Miniature Horse Farm is world recognized as a breeder of exceptional miniature horses for show in both the halter and performance arena. Other farms consistently look to Scott Creek Miniature Horses as a source for upgrading their breeding programs. If you want to start with the best, you need to consider a Scott Creek horse. 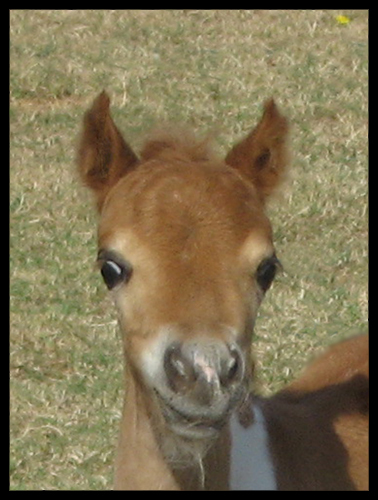 We update our sales list with our foals as they arrive. Check back frequently to see the latest exciting additions on our sales pages! Enjoy the linked YouTube videos for each horse. Our Website serves as a valuable resource to everyone interested in learning more about ”minis”. The site includes technical information to owners about horse health and management, breeding, foaling and resources. You can also learn about our farm, the miniature show horses, and look at the latest mini horses for sale. We focus on breeding Arabian style American Miniature Horse Association (AMHA) registered horses which recognizes the smallest miniatures that can be no taller than 34 inches at the back. Our horses are double registered with the American Miniature Horse Registry (AMHR). Welcome to Scott Creek Farm. We invite you to subscribe to our YouTube channel “scottcreek2010” to receive immediate notification of our latest video postings.